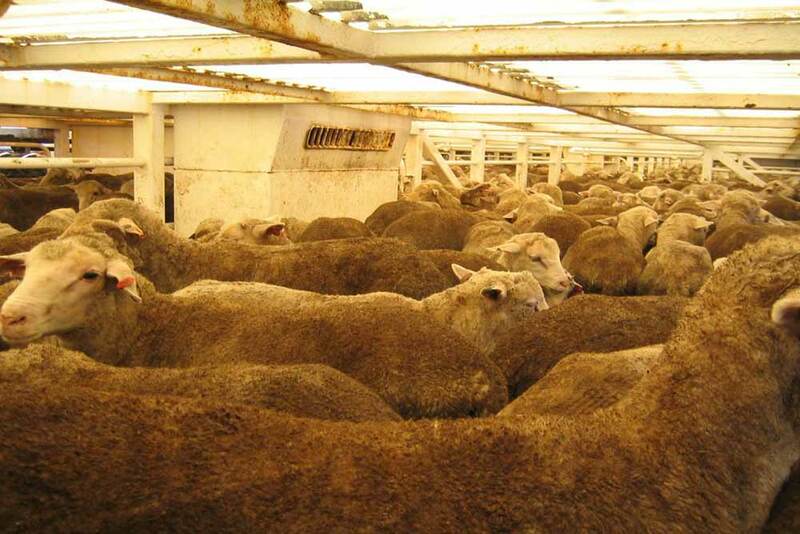 What's it like on board a live export ship? 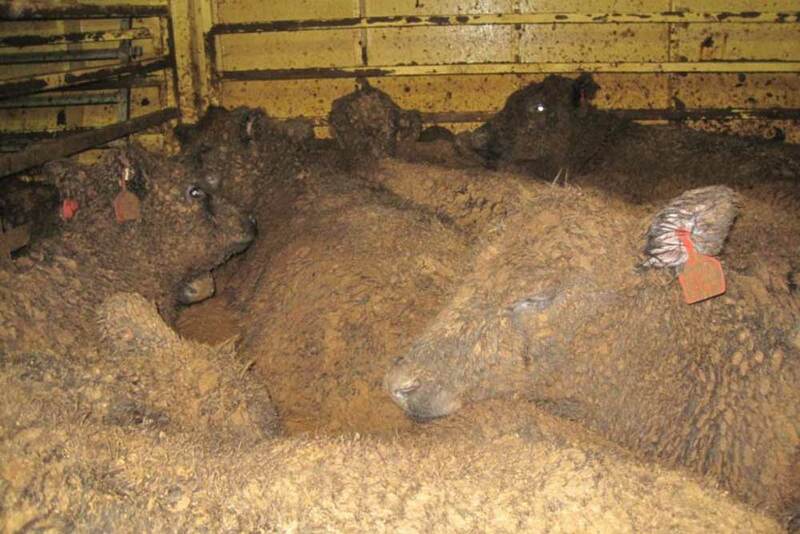 An experienced live export vet has given ABC's 7.30 a glimpse into the conditions endured by animals on live export ships — and it's not a pretty picture. In addition to the stress of the unfamiliar environment, noise and constant ship movement, at the typical high stocking density of a long haul voyage, it is not usually possible for all animals to lie down naturally at the same time. Stocking densities allowed by Australian Standards for the Export of Livestock (ASEL) are much higher than any land-based feedlot or intensive housing system. 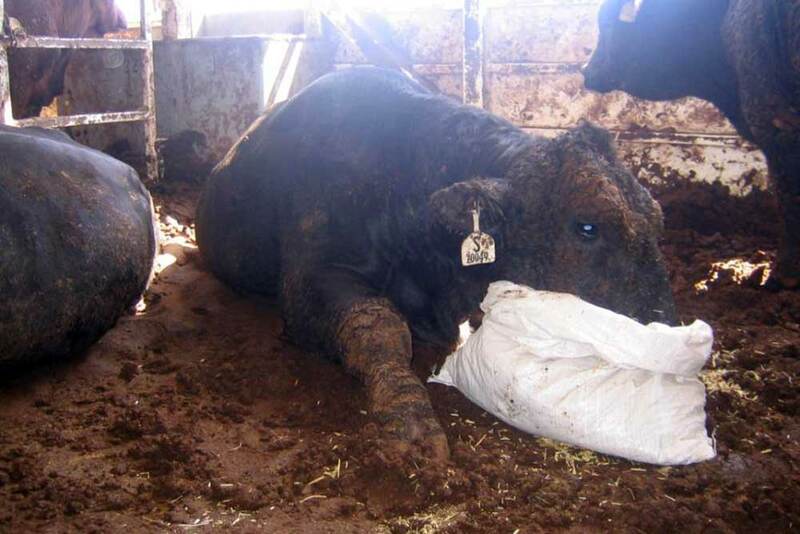 Adequate sawdust or other soft bedding to rest on is not available to cattle on board a live export ship. Some sawdust provisions are required but they are not nearly sufficient, leaving animals travelling on hard, non-slip surfaces which can often result in painful abrasions, lameness and injury. Australian standards only indicate that bedding should be replaced "as necessary" leaving this decision in the hands of exporters. 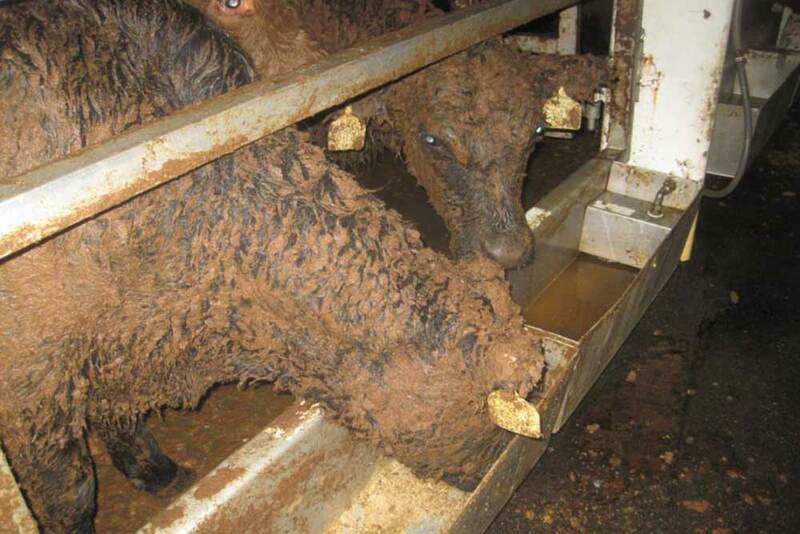 The build-up of wet faeces on live export ships can lead to cattle becoming coated in excrement. Apart from being distressing and unhygienic, faecal coated cattle cannot dispel heat through their body surface and are at greater risk of heat stress. 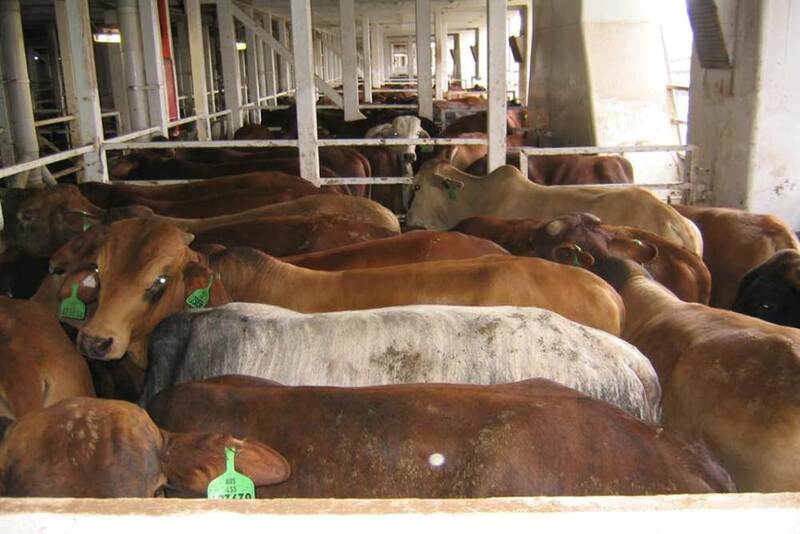 Heat stress is a constant risk on live export ships. Animals suffering from heat stress literally cook from the inside out — they can suffer for days as their organs shut down one by one. 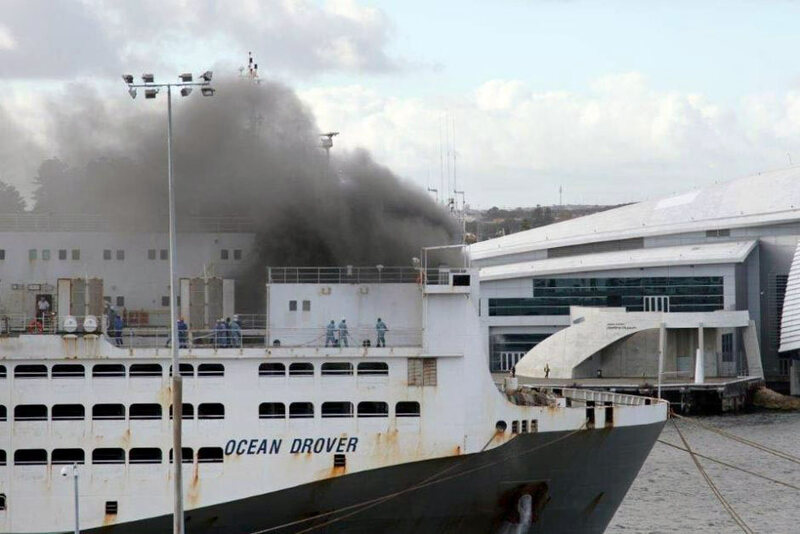 In 2013, more than 4,000 Australian sheep died on board the Bader III as temperatures in the Gulf soared — turning the ship they were traveling on into a floating oven. Ship floors are often covered in non-slip 'cleating' (as pictured) which doesn't allow sheep and cattle to rest comfortably. 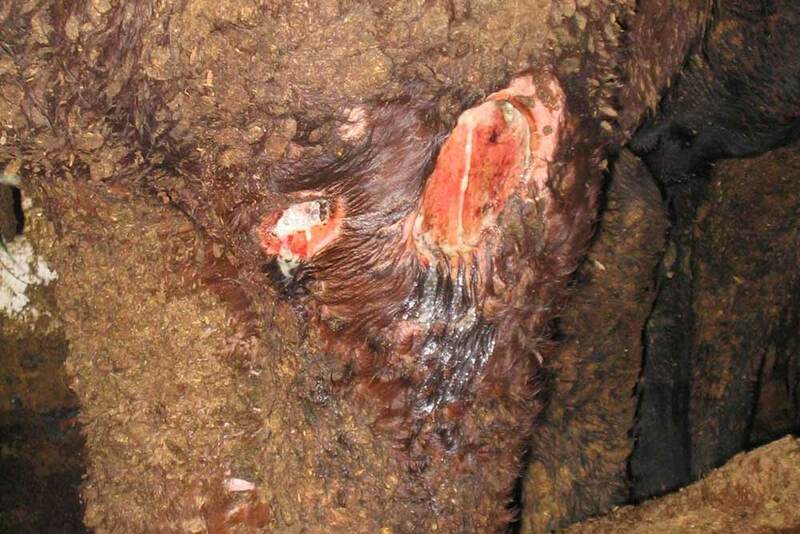 This can cause abrasions and lameness which may lead to septicaemia. 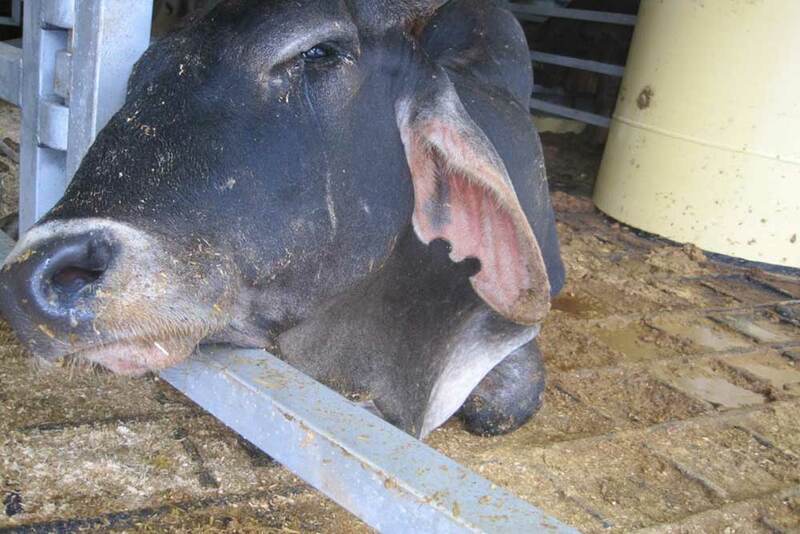 Hoof damage, painful skin abrasions and lameness are common on board live export vessels due to the abrasive deck surface and inadequate drainage. 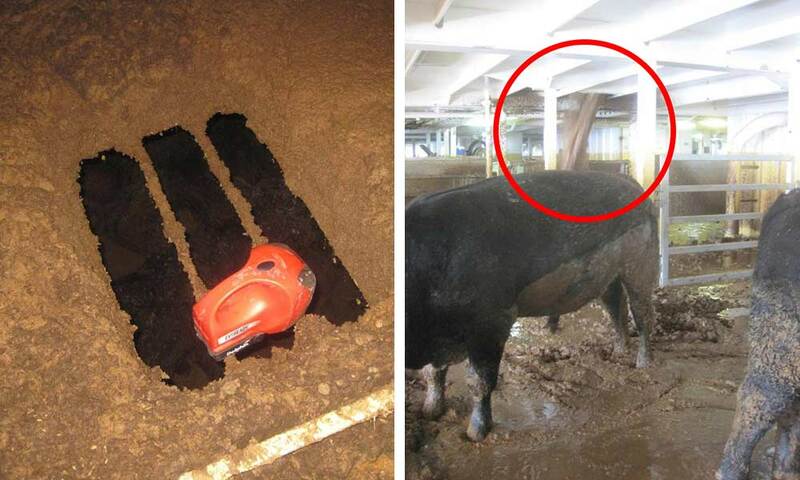 Cattle are also at risk of injury from slipping into open drain holes in the ship's deck which drain water and faecal matter into the deck below. Untreated, open wounds are at risk of infection and septic cellulitis from exposure to faeces and urine. Skin abrasions are often go unnoticed as they are covered by faecal matter. Infections can be so painful that an animal will refuse to rise, which in turn stops them feeding and drinking and leaves them lying in their own faeces. High stocking densities, high levels of ammonia and the stressful and unfamiliar conditions on board ships can result in animals failing to eat (resulting in death), eye infections, heat stress, salmonellosis and pneumonia. Dirty pens filled with dirty cattle unsurprisingly leads to dirty water and feed troughs, contaminated with urine and faeces. 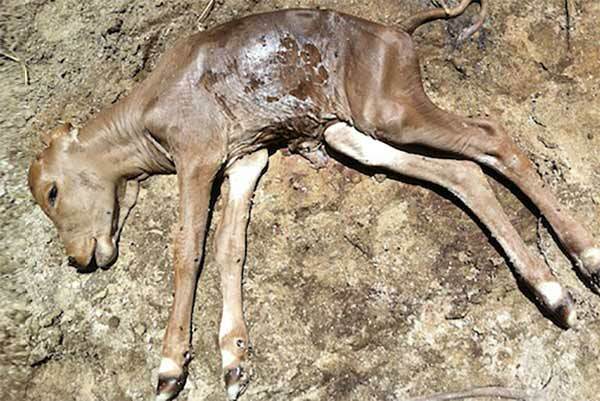 This can result in animals suffering from dehydration and not getting enough food. Rough seas and unexpected weather put animals at increased risk of injury and sea sickness. 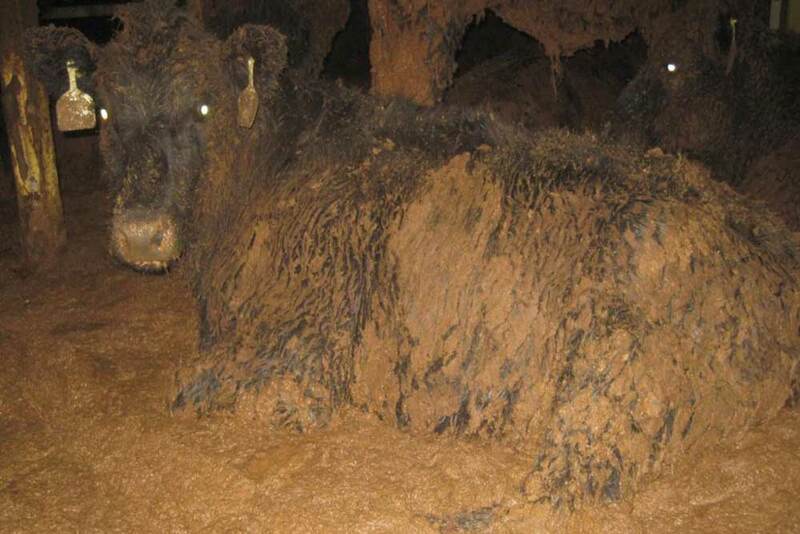 Live export has a history of disasters that have been devastating for animals – ventilation problems, engine failure and even fire have caused suffering and fatalities. Every journey runs the risk of something going wrong and animals are the ones to pay the price. Cattle have been known to lie down for long periods of time when the decks are cleaned and new sawdust is laid. Dr Simpson states this is a result of exhaustion and fatigue from animals reluctant to lie down in their own faeces not getting sufficient respite. Due to the lack of space on board, animals are at risk of being smothered, injured or repeatedly disturbed by others as they attempt to rest. This calf's mother was pregnant when she boarded a ship to Mauritius. She was killed immediately after she was born. Animals are often not properly tested for pregnancy before boarding and that has led to cows and ewes giving birth at sea. 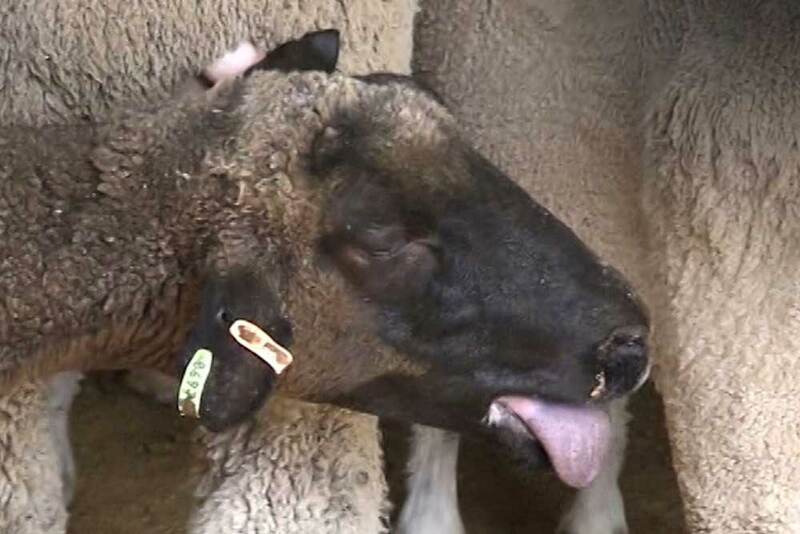 Animals who go into labour on live export ships are not often given the additional space and care that they need, and their young may be trampled or injured. As the calves or lambs will likely be killed (usually for commercial reasons) the new mothers’ risk of mastitis is significantly increased. 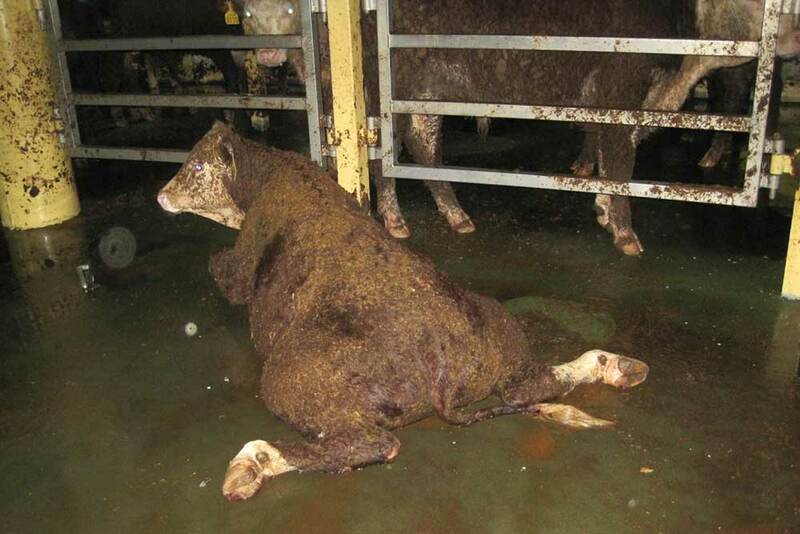 Australian standards specify that no animal weighing more than 650 kg should be loaded on board a live export vessel. But some exporters have ignored these guidelines and loaded heavier animals, like the bull pictured, risking their lives. In Dr Simpson's report to the government, she warned that any animal over 500 kg has an increased risk of injury. Incredibly, government regulations allow a mortality rate of 2% of sheep and 1% of cattle on every voyage — which means hundreds, if not thousands, of animals can die at sea without any investigation into the cause. 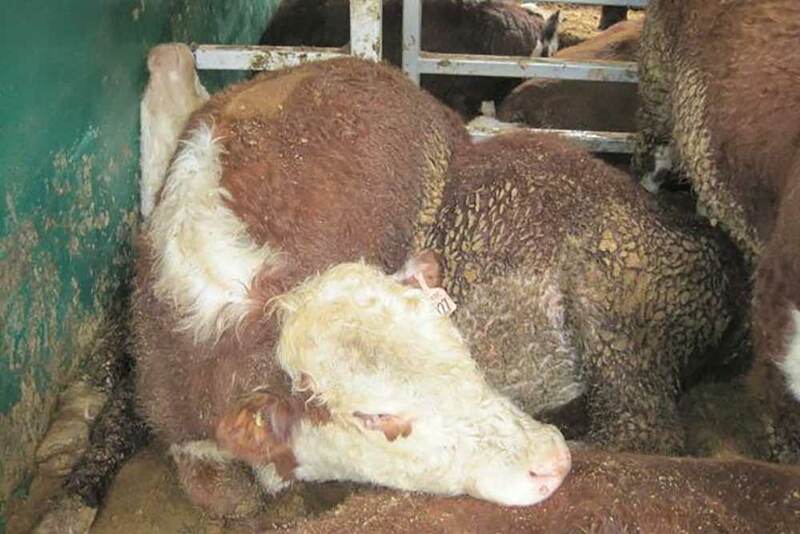 Proposed new live export shipping standards still won’t protect animals from extreme suffering and death. 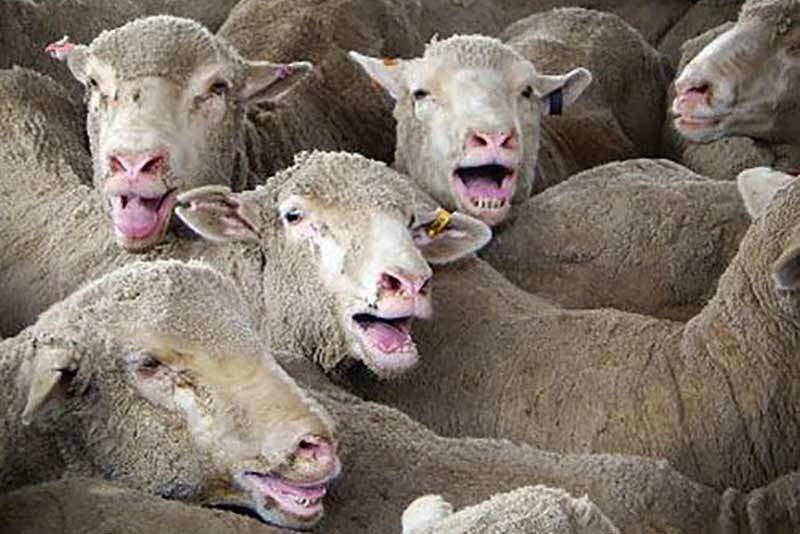 Make your voice heard for the victims of live export! 5 years of Australia’s live export industry leaving its mark on the world.